SINGAPORE - A man was taken to hospital on Friday evening (Jan 11) after suffering burns from a power bank, which had exploded in his pocket. 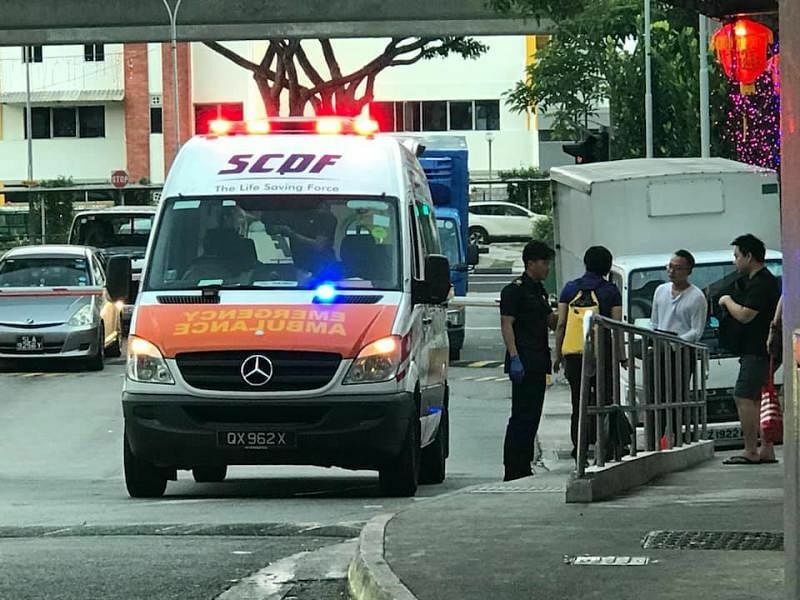 An SCDF ambulance at the scene following the incident. Photos given to Lianhe Wanbao show the badly burnt and melted remains of the power bank on the hawker centre floor, as well as a large frayed hole in the man's back pocket. Duck rice stall assistant Huang Jia Qiang told Lianhe Wanbao that he heard a small explosion, in addition to the smell of something burning. He said that the man had been using his phone while eating, with the phone connected to the power bank in his pocket at the same time.